A couple of years back I had published a detailed analysis on vCenter Server's Authentication (AuthN) and Authorization (AuthZ) from an auditing and logging standpoint. This has been the go to reference for many of our customers and the posts also includes a number of log samples which I have documented in the following Github repository. In addition to serving as a reference for our customers, it has also helped our Product and Engineering teams understand where we still had some gaps and how we could improve the overall user experience. As hinted in the recently announced vSphere 6.7 Update 2 release, which will be available soon, there are number of new auditing enhancements that have been made to both vCenter Server and the vCenter Single Sign-On (SSO) service that I think customers will really appreciate. When you look at a login or logout Event in vCenter Server today, you may have noticed the user's client IP Address is actually of the vCenter Server rather than the actual remote client's address and the reason for this is explained here. In vSphere 6.7 Update 2, the real client IP Address is now captured and is included in all successful login/logout and failed logins. This information can now enable administrators to easily identify unauthorized access and be able to quickly track down the systems initiating the connections. vSphere Global Permissions was first introduced in vSphere 6.0, which provides a simple and consistent method for assigning permissions for individual users and/or groups across multiple vCenter Servers joined to the same vCenter Single Sign-On (SSO) Domain. Global permissions works in the same way as traditional vSphere Permissions, but rather than assigning a permission to a specific entity, the association is applied at the root level of the vCenter Server. The other added benefit for customers who are using vCenter's Enhanced Linked Mode (ELM), the global permission will be available to all vCenter Servers which are part of that ELM configuration. Without global permissions, a customer would have to create and assign a new permission to each and every vCenter Server and ensure that they all match which can be very error prone. One downside to using vSphere Global Permissions today is that there is currently not a public API for those wanting to automate the creation and deletion of global permissions. However, as quick workaround, I have found a way in which you can automate the global permission management using the vSphere MOB which would allow us to use PowerCLI or any other vSphere Automation toolkit for that matter. I have created a simple PowerShell script called GlobalPermissions.ps1 which contains two functions New-GlobalPermission and Remove-GlobalPermission which hopefully is self explanatory in what they do. If the operation was successful, you should be able to login using the vSphere Web Client and refresh the global permissions view and you should see the new permission assignment as shown in the screenshot below. 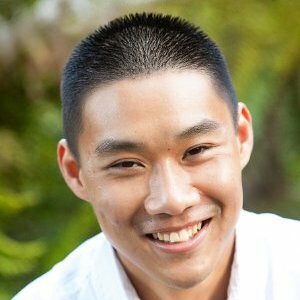 William Lam is a Staff Solutions Architect working in the VMware Cloud on AWS team within the Cloud Platform Business Unit (CPBU) at VMware. He focuses on Automation, Integration and Operation of the VMware Software Defined Datacenter (SDDC).